Formed in Oct 2012, Ez Riser is the solo project of Sohail Arora (BBC, Krunk)pushing cutting edge Electronica, Glitch Hop, Breaks, Bass House & IDM. One half of Bay Beat Collective (BBC), Sohail has been pushing bass heavy sounds in the country for almost 4 years now. Ez Riser focusses on the new styles of Bass forms with influences ranging from Koan Sound, Opiuo, Spoonbill, Heyoka, Griz & many more. 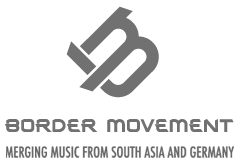 Sohail is also the founder of Krunk, India’s finest booking agency which represents artists like BBC, Delhi Sultanate, Ox7gen, Sandunes & many more.